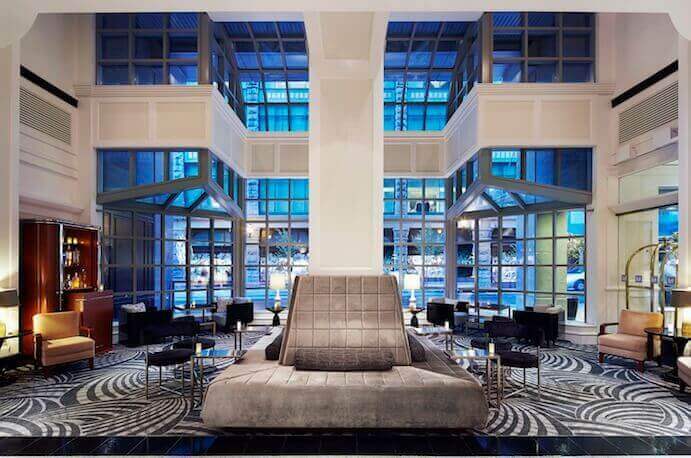 Entirely renovated in 2013, the 5-star Loews Hotel Vogue won’t disappoint you with its impeccable customer service, luxurious rooms, and central location. 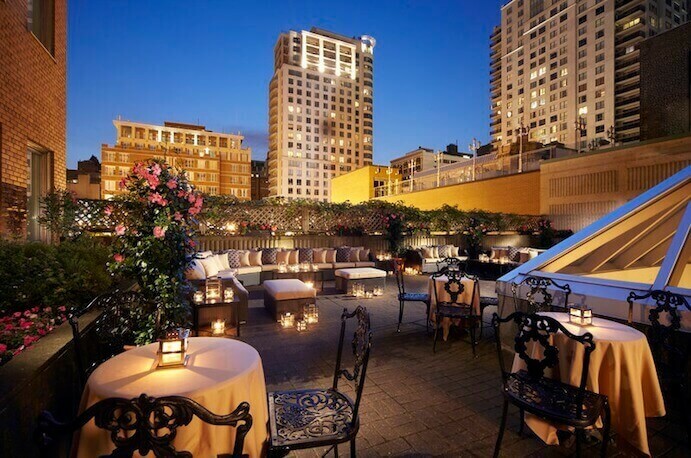 The Vogue hotel was bought in by the Loews chain in 1995 (19 hotels in North America), and it’s an hybrid boutique hotel – with “only” 142 rooms, including 16 suites- and the luxury Four Season or Sofitel style chain. Customer service is impeccable, on par with 5-star standards – concierge, 24/7 room service, nice and courteous staff, and a gym open 24/7. However, breakfast is not included. 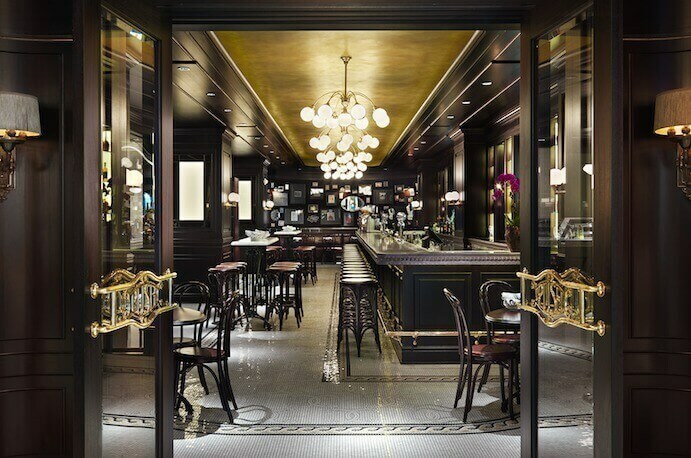 On the ground floor, the restaurant La Société serves meals in a French brewey atmosphere, it also stands as an oyster bar. The spacious rooms were tastefully renovated in 2013.They are just as comfortable as you’d expect from a 5-star establishment (king size bed, flat screen TV, iPod station, and free wifi). The spacious marble bathrooms raise the bar up one notch with whirlpool bath, separated shower, and heating lamp equipped with a TV (in case the one in the main room wouldn’t be enough…). Height of luxury comes in the form of high end toiletries. 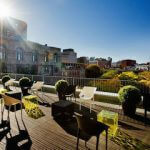 This hotel is a go-to for businessmen as it offers 650 m2 of meeting space, a private rooftop style terrace for parties and events. On the down side, the architecture of the Loews is very basic: from the outside, the hotel really doesn’t stand out. 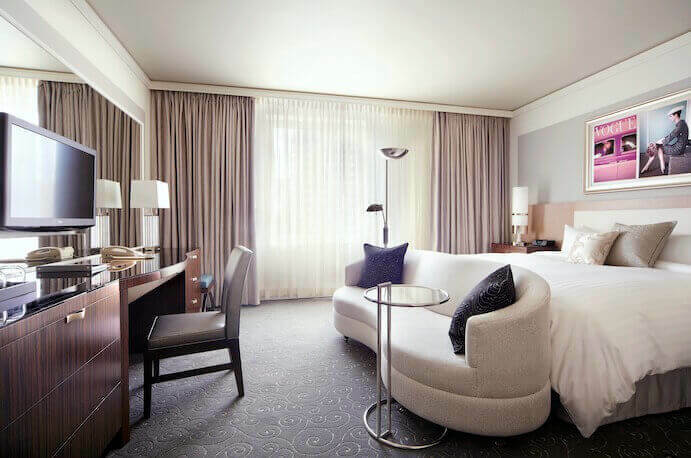 The localization of the hotel is one of its main features, at two steps away from THE shopping street in Montreal, Sainte-Catherine Street, you are really close to malls, restaurants and movie theaters. 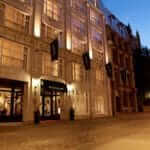 Wealthy guests will mostly appreciate the proximity of luxury stores such as Ogilvy (a Montreal institution), and Holt and Renfrew (the Canadian version of Saks 5th Avenue). The hotel is also two steps away from Crescent Street, a nightlife hub that hosts many events such as the F1 Grand Prix weekend in June. The hotel is at five minute walking distance from Peel metro station (line 1 – Green). For the hockey fans out there, the Bell Center is also at five minute walking distance. The Old Montreal is ten minutes away by car and the Pierre Elliot Trudeau International Airport is 22 minutes away by car.